Special heat resisting and wear resisting materials are needed in the limestone and cement production. 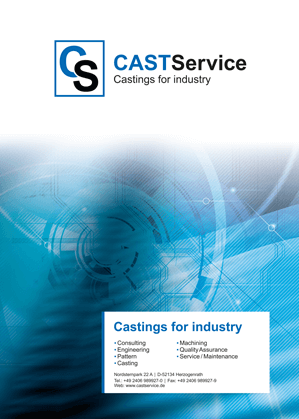 Already since many years we develop and supply high quality casting parts that fulfill these requirements and extend the service time of your production facilities. In order to achieve this, we produce tailored products in close collaboration with our customers that are designed to meet the special demands. We also consult you in questions regarding the choice of the materials and the design. In addition to that, CS-specific-materials and CS-design-developments show our capability.